Click here download the 2nd announcement for ICDVC-2018. 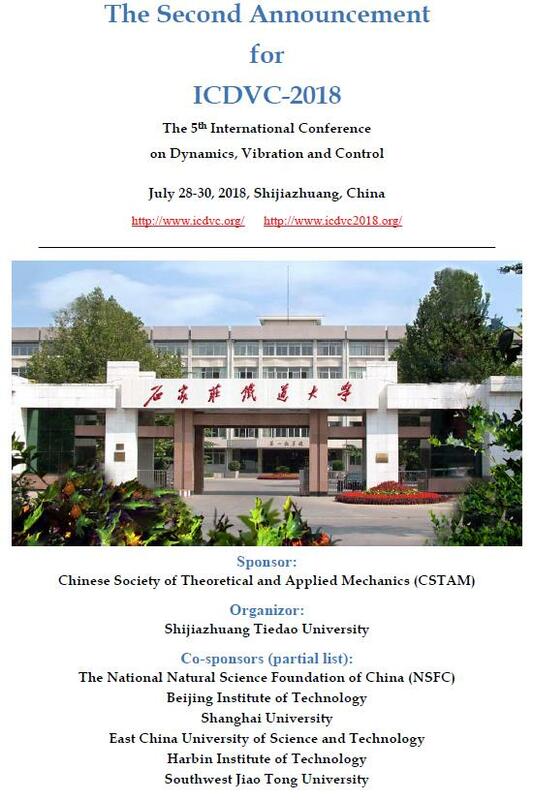 ICDVC-2018, the 5th International Conference on Dynamics, Vibration and Control, will be held on July 28-30, 2018 in Shijiazhuang, China. Dynamics, vibration and control composes of an active sub-discipline of mechanics, and ICDVC-2018 is devoted to the significant research field. Both oral and poster presentations will be included in the conference program.Internationally leading experts will deliver keynote lectures at the ICDVC-2018. It is expected that over 500 participants from various countries will attend the conference.